Israel's Army said Sunday it detected and destroyed the "longest and deepest" built by Hamas from the Gaza Strip into Israeli territory this past weekend. Israeli Defense Forces said the tunnel was "several kilometers long", passing under the border in an area where Palestinian protesters recently fought with security forces and close to the Israeli community of Nahal Oz. IDF spokeman Brig.-Gen. Ronen Manelis described it as "significant tunnel" that was connected to other ones. "Hamas has been working in recent months, and more intensively in recent weeks, to turn the border fence into a zone of terror and fighting," Manelis said. "The violent demonstrations are a cover for terrorist attempts both above and below ground. It was constructed after the 2014 conflict between Israel and Hamas that lasted 50 days, according to the IDF. "We open the week with an impressive intelligence and operational achievement, with the destruction of another terror tunnel, the longest and deepest discovered so far," Defense Minister Avigdor Liberman posted in Hebrew on Twitter. "A tunnel in which millions of dollars were invested, money that instead of relieving the strain on residents, was buried in the sand. Residents of Gaza, Hamas is burning your money on tunnels to nowhere. We will get our hands on all of them." Israel detected the tunnel with new technologies and methods, Lt. Col. Jonathan Conricus, an Army spokesman, said. "This was clearly a terror tunnel that connected to other tunnels in the Gaza Strip," he said. "It extended into Israel and violated Israeli sovereignty." 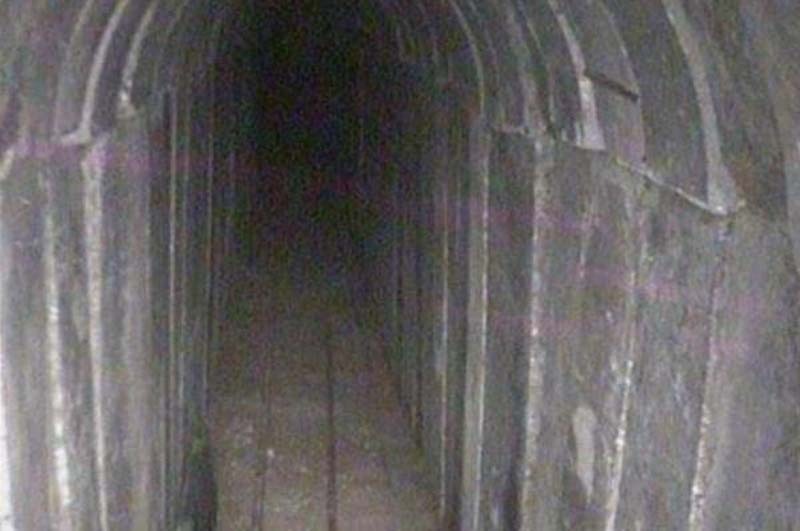 This tunnel was the fifth tunnel the IDF has destroyed in recent months, he noted. They sealed the latest tunnel discovered rather then bombing it. Conricus didn't say if any Palestinians during were injured the process to seal the tunnel. "The IDF doesn't seek an escalation. We are defending our borders," Conricus said. "We will not tolerate or allow Hamas to turn the border area into an active combat zone." More than 30 Palestinians have been killed over the past three weeks in clashes, according to Hamas-run health authorities. On Friday, at least 10,000 Gazans participated in large-scale demonstrations. Israeli military said they hurled an explosive device and firebombs and made "several attempts" to damage the fence between Israel and Gaza. In the previous two weeks, estimated 30,000 participated each week. Hamas said the protests are part of "March of Return" demonstrations in an attempt to remove border and liberate Palestine.